As an early activist for diversity in the ADR movement, Marvin Johnson amassed a wealth of knowledge and experience, as he relentlessly engaged difficult conversations and actions about barriers to minority participation in ADR and challenged organizations to consider ways to be more inclusive. At this session, Marvin will explain how systemic resistance hobbled efforts to increase diversity in ADR and that the same resistance continues to hinder progress today. Come hear Marvin reflect on his first-hand experiences and participate in an interactive discussion about diversity in ADR. 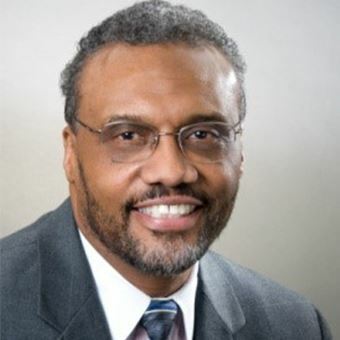 Marvin E. Johnson is a nationally recognized mediator, arbitrator, trainer, and JAMS Panel Member with more than 25 years of dispute resolution experience. He is the Founder and Executive Director of the Center for Alternative Dispute Resolution which he started at Bowie State in 1986 where he was an Associate Professor. He has served on the boards of SPIDR, ACR, the ABA DR Section and as former President of IAM. He is the author of numerous articles and the recipient of many awards for his distinguished career. In 2007, ACR announced the creation of the Marvin E. Johnson Diversity and Equity Award, as a tribute to Mr. Johnson’s diversity efforts within Society of Professionals in Dispute Resolution and ACR and throughout the dispute resolution field. Mediate.com referred to Mr. Johnson as one of the thirty-one “best known and most experienced mediators in the world.” Mr. Johnson received his JD from Catholic University, BS in Business Administration from Kent State University and MS in Industrial Relations from the University of Wisconsin.